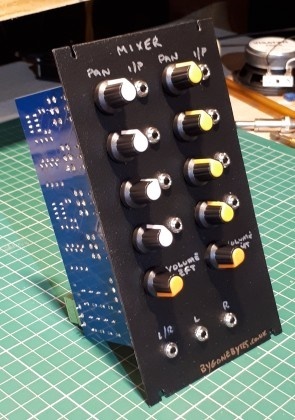 This new project (March 2019) will bring a lot of the elements of an analogue synthesiser into the small Eurorack format. 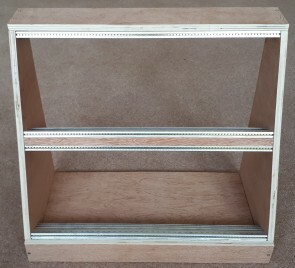 First item to build will be the rack, initially it will be two rows 4U high by 84HP wide. A +/-12V Power Supply with distribution. 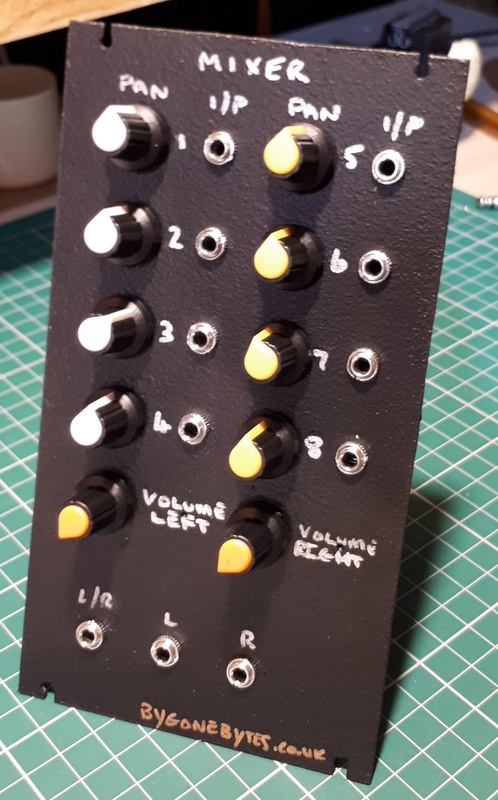 Mixer - Pan to Stereo. 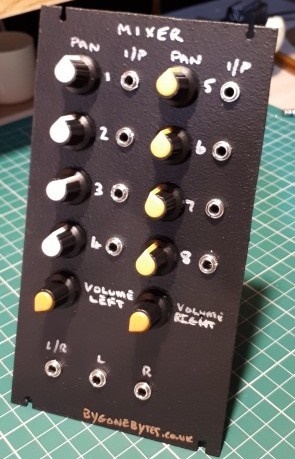 Built from offcuts from the Maplin 5600 case, the angled wood suited the Modular Synthesiser perfectly. 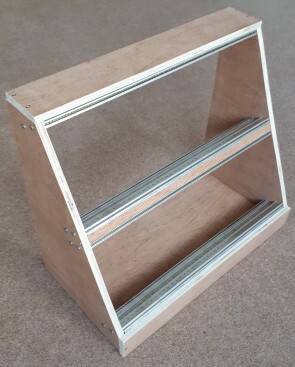 It still needs sanding and varnishing. 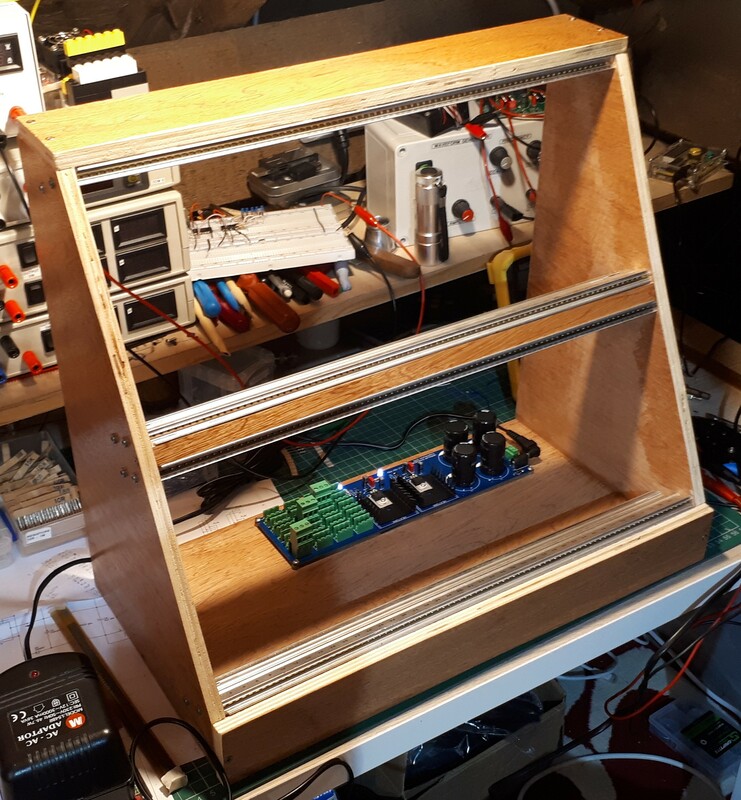 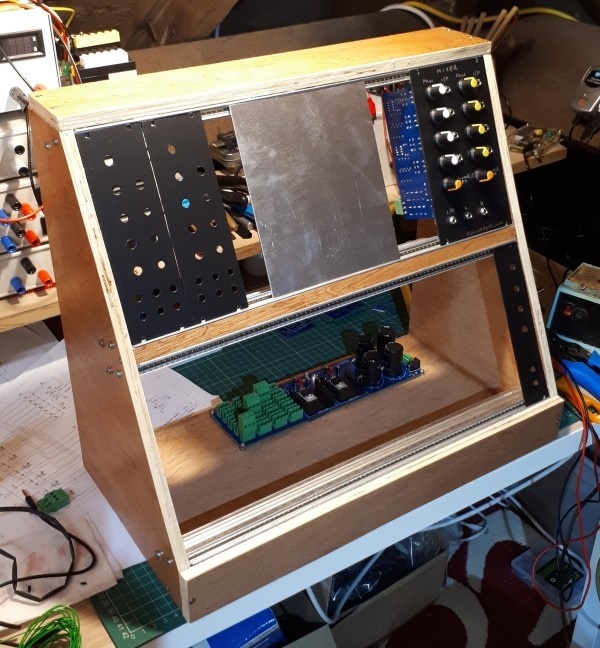 The Rack should hold a reasonable amount of 4U modules..
My first four boards are under way, the PSU, the VC Oscillator, the Mixer and Echo board. 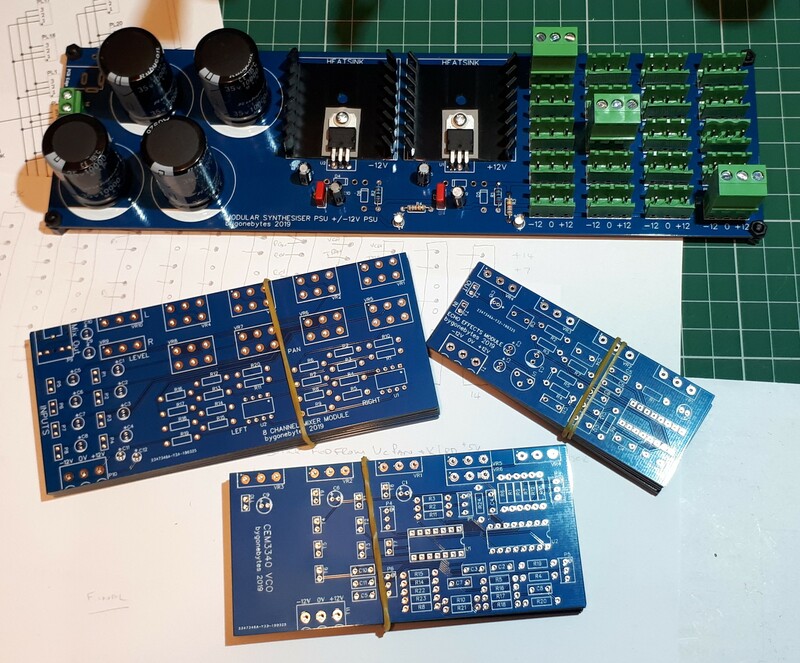 The PSU board and Echo Module are based on circuits from Practical Electronics and modified to suit my needs. The Mixer Module is taken from my 9+24 channel mixer and the VC Oscillator is based on the CEM3340 data sheet and again modified to suit my needs. 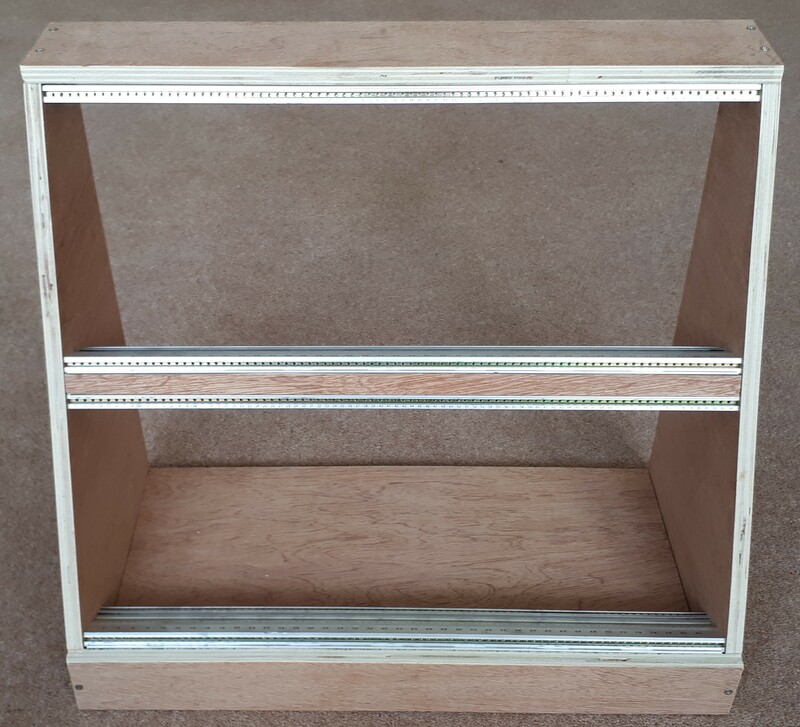 Photos of the build so far..